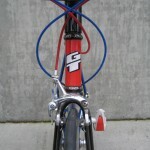 This is the road version “Superbike” from GT and the U.S. national team. 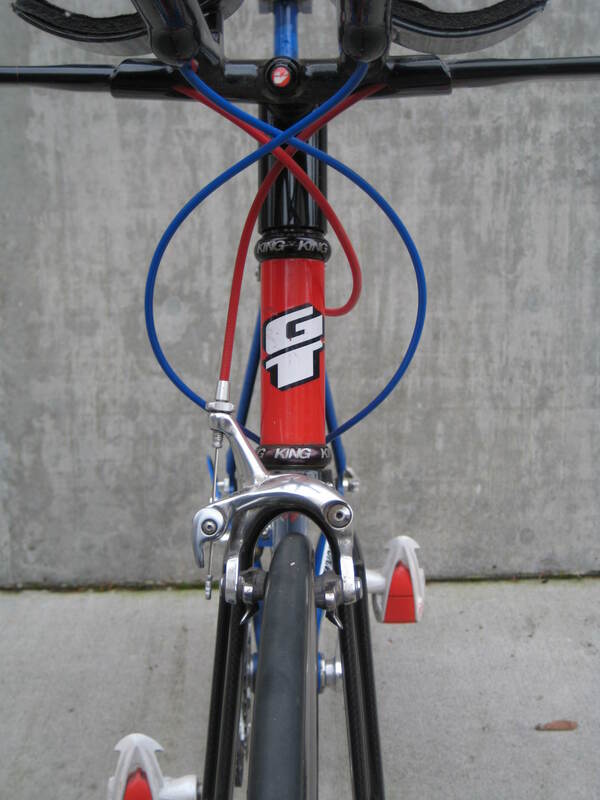 This bike and its three dozen siblings are the result of Project ’96, the U.S. cycling team’s million-dollar program to gain a technological advantage at the ’96 Olympic games and subsequent international competitions. 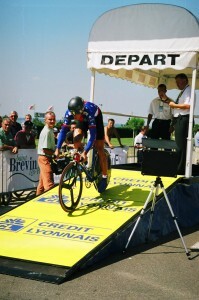 Project ’96 could have been modestly succesful had it been kept under wraps until the Atlanta Games, but building a “secret weapon” with Mavic, who also supplied the French cycling team, as well as sharing pictures with the cycling media a year in advance did not help the U.S. keep its technological edge. 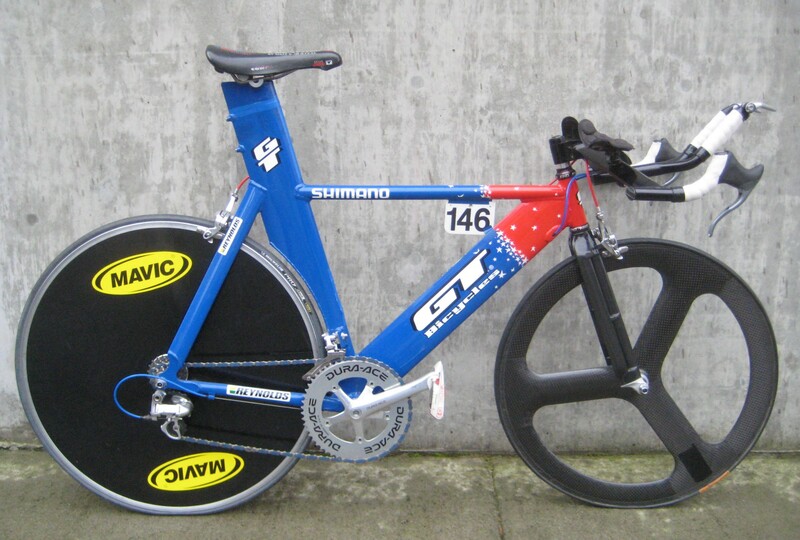 Aerodynamic to the extreme, this twenty year old bike is still on the cutting edge of technology, but actually can’t be raced. 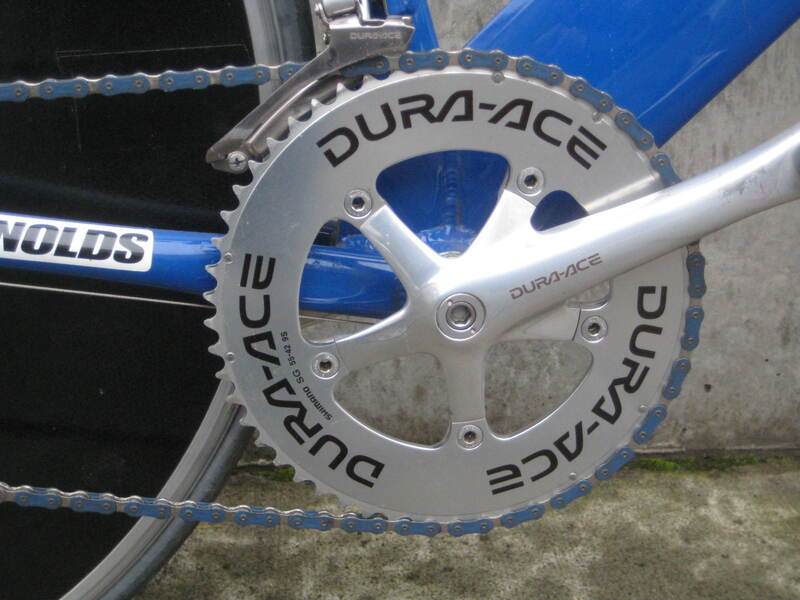 It’s so fast it’s breakin’ the rules. 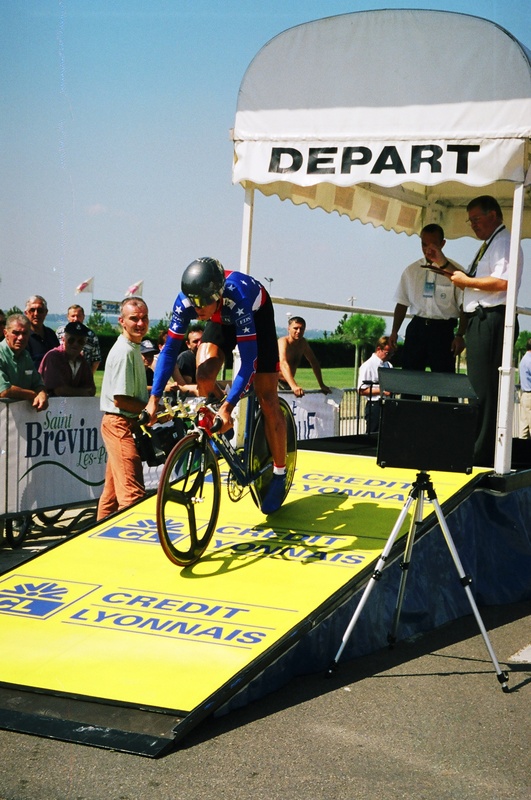 The UCI enacted several regulations in 2000 responding to the rapid advance of bicycle technology and the vast sums of money being spent by pro teams and national cycling federations to gain technological advantages. 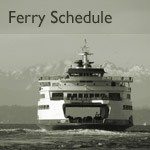 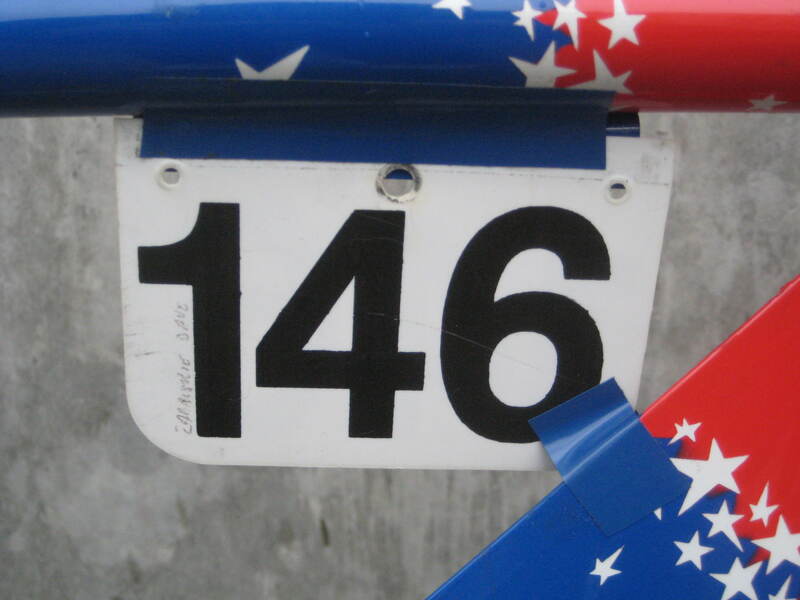 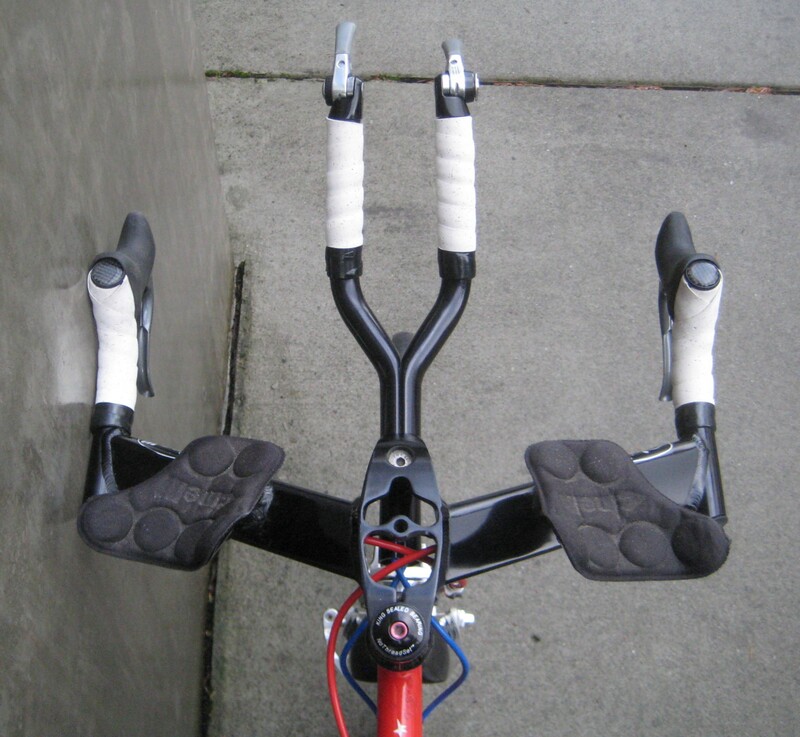 Uniformity and “traditional” bicycle design elements were the goals for the rules. 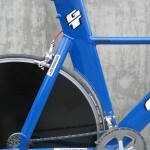 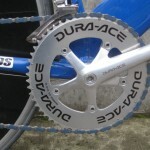 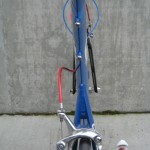 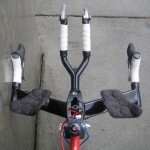 In the case of the Superbike, the main issues are that the seat tube and down tube are too flat and run afoul of the regulations by not conforming to a 3:1 aspect ratio, and the wheels are different sizes (the rules now state that both wheels need to be the same size in order to be raced). 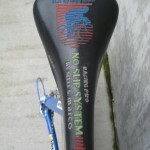 What does it mean for this bike to be “sponsor correct”? 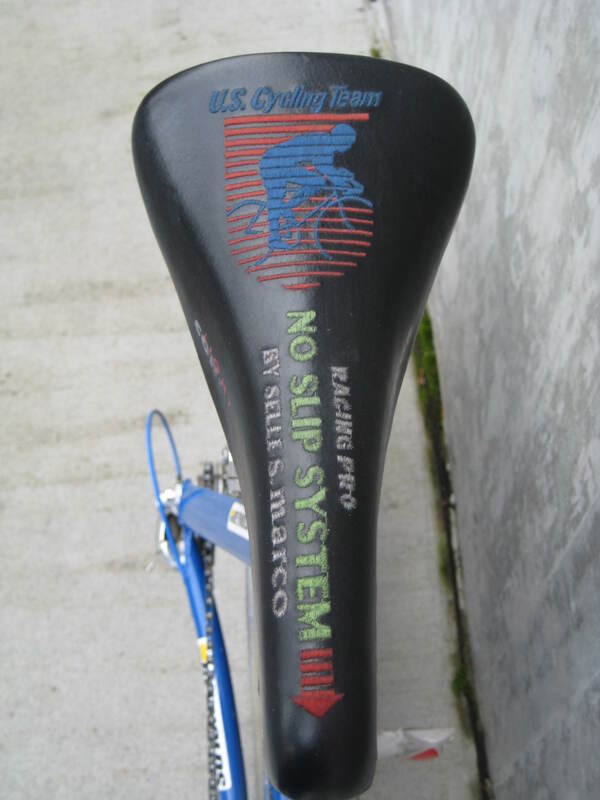 In the late ‘90’s it meant Shimano drivetrain components, Cinelli handlebars, custom San Marco saddles, Mavic wheels (our bike has a front wheel from Specialized instead of an aero wheel from Mavic like the IO or Cosmic) and frame tubing that comes from Reynolds. 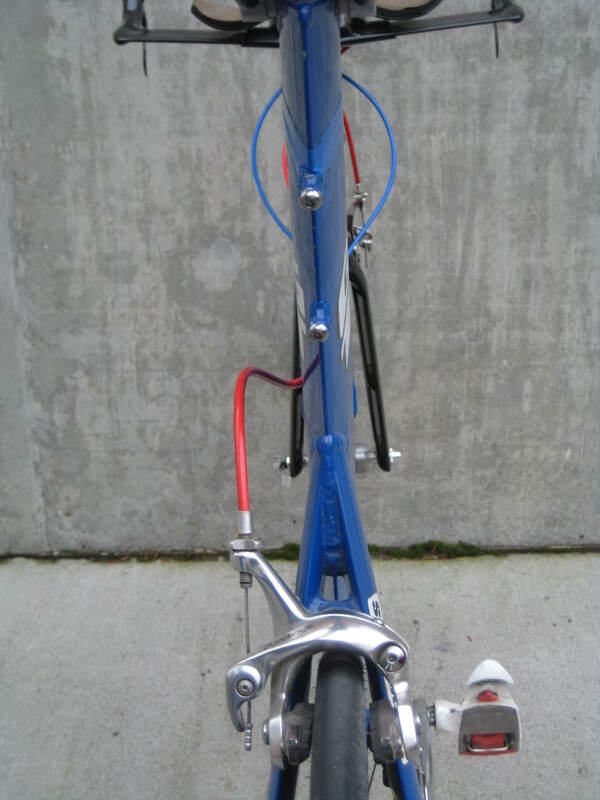 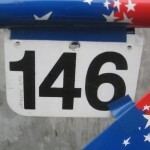 The original fork that went with this frame was damaged during travel home from its last “real” race, the world championships in Treviso, Italy in 1999. 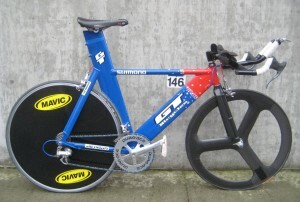 The bike is now retired, and merely has to look fast while it hangs out in the bike shop. 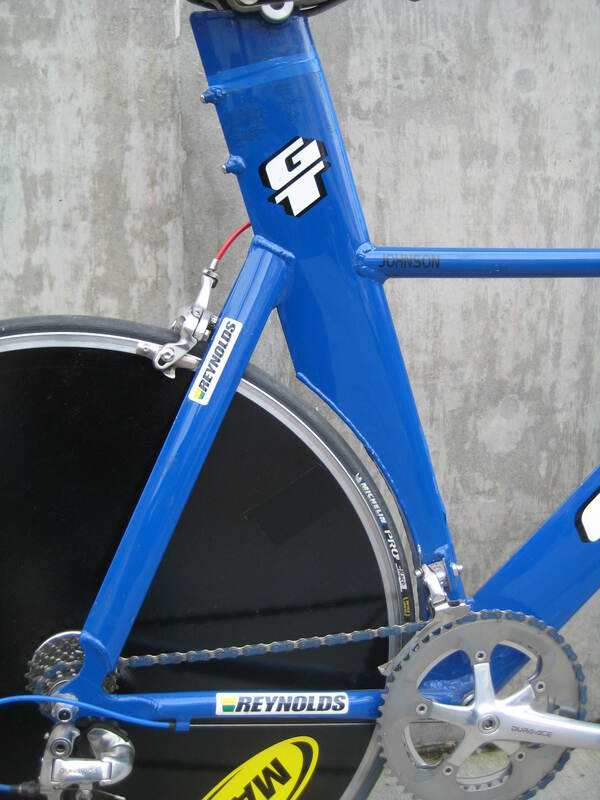 National team riders Dave Zabriskie, Aaron Olson, Danny Pate, Ryan Miller, Justin Spinelli, and Matt DeCanio have all raced this bike.